We had a great time at the Texas Aquaculture 44th Annual Conference and Trade Show last January 29-31, 2014 in Fredericksburg, Texas. It was a true honor to provide an overview of our aquaponics practice at Lilypad Farm and provide a point of view to the amazing group of Texas aquaculturists. Let’s start with the basics – SRAC# 454 – Recirculating Aquaculture Tank Production Systems: Integrating Fish by James E. Rakocy, Thomas M. Losordo and Michael P. Masser. Recirculating aquaculture systems are designed to raise large quantities of fish in relatively small volumes of water by treating the water to remove toxic waste products and then reusing it. In the process of reusing the water many times, non-toxic nutrients and organic matter accumulate. These metabolic by-products need not be wasted if they are channeled into secondary crops that have economic value or in some way benefit the primary production system. Systems that grow additional crops by utilizing by-products from the production of the primary species are referred to as integrated systems. The UVI model grows plants at a abnormally high rate. This is the confusion. Growers some how forget the fish are paramount, it is not “hydroponics”.  The profit is in the plants, the fish can pay the bills. Growers must adhere to “clean fish practices”. Contact me if you want a break down of this information. Below I’ve provided further information shared at the conference. Srac -454 is the citation we follow. The UVI model, is the bible. 30 years of study from the NST . Others have innovated around it. Our farm is the largest of the residential and the smallest of commercial affairs. This is why I cannot make the farm larger! More systems mean more skilled biologist, larger (meaning more systems), will entail a full time staff. We are at capacity , proving the 45 minute compartment “skill sets to run the facility. Feb 15th thru October 21st This season has the best case scenario. October 22nd thru Feb 14th Production is Half. Hot weather is hard on the plants and easy on the fish. Incorporate used equipment. Trucks, Storage sheds, racks, tables. Our expenses are under control. Never over burden the actual outcome, this is no place for a spread sheet. Farming is the key to profit. Hard work every day, then more hard work. We sell retail, this eliminates sharing profits with wholesalers.  Ask questions , Follow the rules.  SRAC-454 ensures proper stocking rates. Growbeds result in Clean fish practices. We use 3”grow cups-Roots become the filter. Plant growth allows higher feed rates. Using clean fish practices allows the farmer a chance at this enormous plant cycle. Hybrids- transgardens make the fish Stressed due to lack of environment. 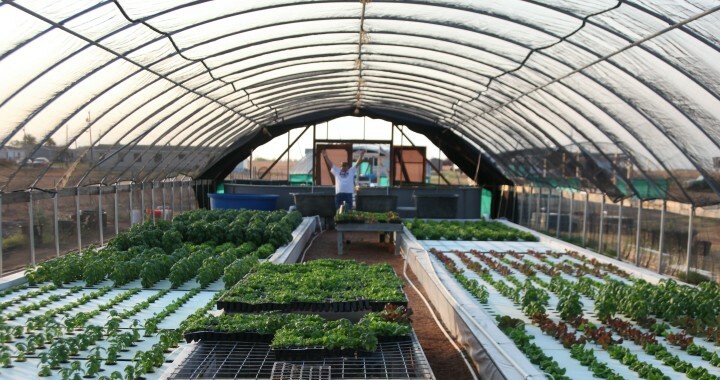 The industry makes new comers reach towards Hydroponic equipment, this is the Transgardens evolution. Aquaculturist have the correct approach. Fish are paramount. Potential problems: gravel displaces the necessary water to ensure fish health, gravel may contain potential bio hazards to fish and plants ie pythium etc. We’re getting more and more inquiries for help to address the broken promises of transgardening. We do not practice transgardening. Therefore, we cannot assist here. If you have inquiries about aquaponics as defined in SRAC# 454 with a real interest in becoming an aquaponics farmer, please submit a contact form explaining your desires and situation. I’ll happily follow up with you to help you find the right path forward. Positive is how we live! Posted in Aquaculture, Commercial Aquaponics, Training.